I actually read this back in January, but wanted to wait closer to the release date to post my review. Special thanks to my BFF Karen, over at Karen's Addictions for loaning me her arc. 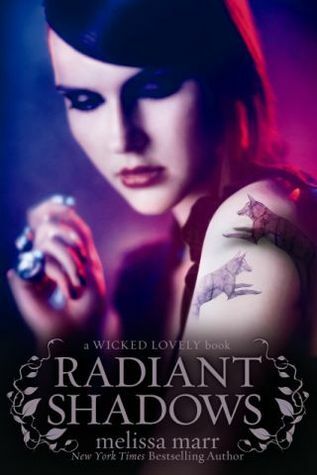 While Wicked Lovely still reigns as my favorite in the series, I throughly enjoyed Radiant Shadows. The story takes place a bit after Fragile Eternity. Same world, same people, different POVs, and different courts. Radiant Shadows is told through the eyes of Ani, Devlin and Rae. All these characters have played a secondary role thus far in the series (except Rae, she's new), so it was quite interesting to see how others view the events currently taking place. You get bits and pieces of the fearsome foursome (Ash, Donia, Keenan and Seth), but only bits and pieces. It leaves you wondering what in the world is going on out there in Huntsdale. You'll get a closer look into the inner workings of The Dark Court and also The High Court. And the ending? Didn't see that coming! The romance between Ani and Devlin is anything but normal. It's intense, beautiful, unexpected and believable. There were times where I just wanted to read through a section faster and faster just to get back to Ani and Devlin. Both have to deal with their own inner demons, but can't escape the feelings that build between them. And Devlin? Definitely a swoon-worthy boy. Chaos and logic never tasted so sweet. With the book being released this coming Tuesday, I don't want to give too much away. I know a question all fans are wondering is "Who's Rae? Where did she come from and what is she?" Well, I could tell her...but then I'd have to kill you. Kidding. Me telling you now would take away from the experience you'll have when you read Radiant Shadows. What I will say is while I enjoyed Radiant Shadows, I was a bit disappointed in the lack of knowledge the reader will receive concerning the events in Fragile Eternity. I just told myself that this is a companion novel. Plus, it's interesting to learn about the entire fey world and not just the summer and winter courts (even though they're my favorite). So, don't get me wrong. I loved Radiant Shadows, but (needless to say) I can't wait for Darkest Mercy (book 5) to be released. The POVs have yet to be revealed, but I'm definitely hoping two will be from Keenan and Donia. Fans of Ink Exchange and The Dark Court will be more than pleased with Radiant Shadows. Giddy, even. 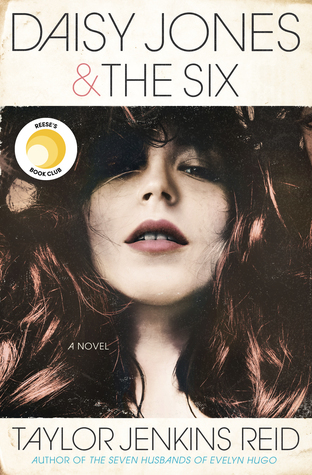 It shows you what an amazing writer Melissa Marr really is. It's obvious she puts a lot of thought into her characters and it shows. So, this Tuesday. What are you going to do? Pick up a copy of Radiant Shadows? I thought so. I'll be picking one up too!